China Chef, situated in a tiny strip mall right off of Illinois Route 3 in Columbia, provides a vast array of Cantonese, Szechuan and Hunan fare. All the usual suspects appear: lo mein, chop suey, chow mein, fried rice and plenty of pork, chicken, seafood and beef entrées abound. 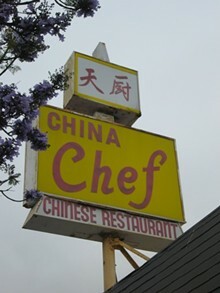 The restaurant also cooks up combo platters, served with a pork egg roll and chicken fried rice. Specialties include "four seasons" - shrimp, chicken, beef, roast pork, broccoli and assorted vegetables - and General Tso's chicken. China Chef also offers a lunch a dinner buffet with two large serving lines in the middle of the dining room.